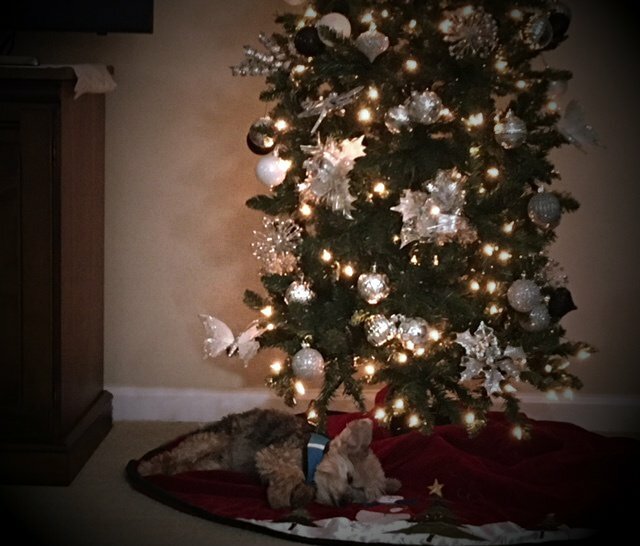 We are still decorating but Kiko decided to make the best of the empty space under the tree. For some reason he feels comfortable under there. This is adorable. I thought he was one of the Christmas presents. Fav. Cave-like under the tree. Protection from the outside. I think he's just anxious to see what Santa is going to put under there. who doesn't like a little sparkle! Don't they find the small places to feel cozy in. lovely decorated christmas tree.